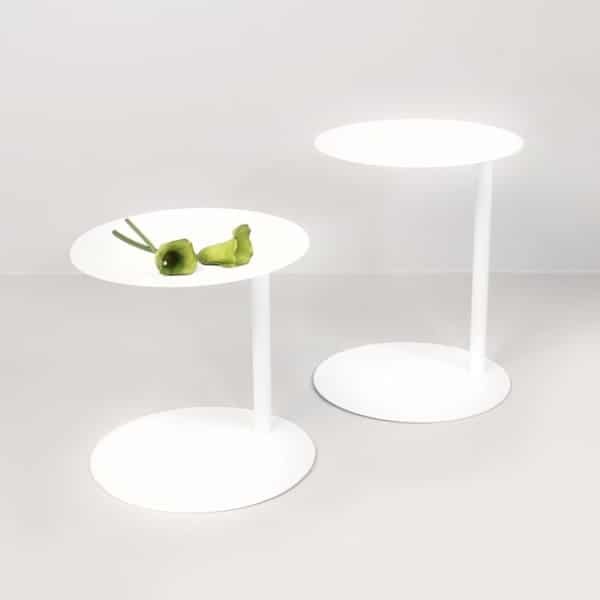 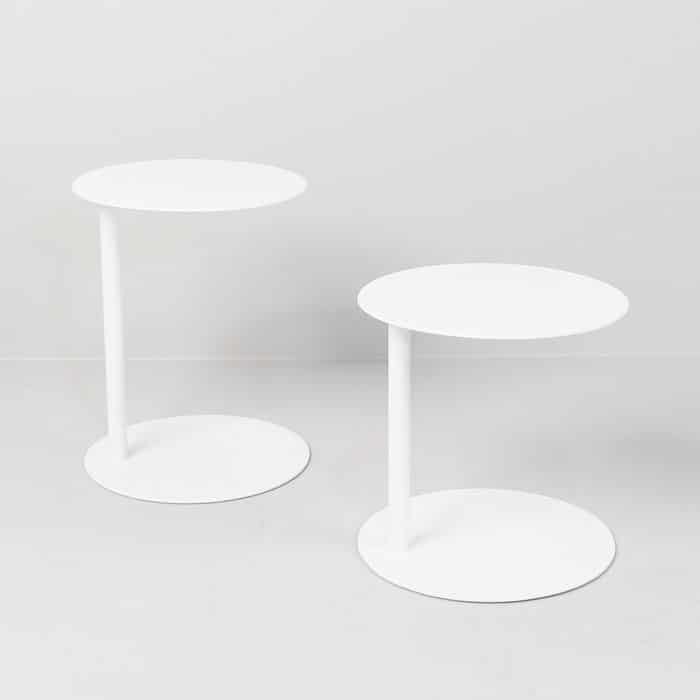 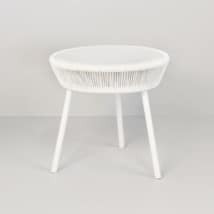 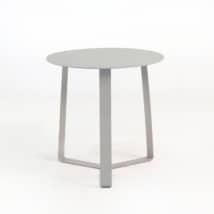 The Mood Table is a sleek, minimalist powder-coated aluminum outdoor accent table with a great look. 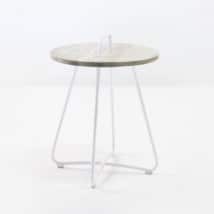 It utilizes a single post and two round flat platforms to make a table that accomplishes all of its tasks, without losing its stylistic character. 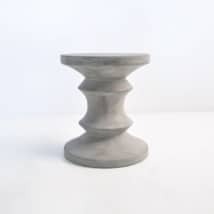 Lightweight, but very solid, the Mood outdoor accent table is perfect for your contemporary space, but can also look amazing in a variety of other style settings. The lightweight, minimal nature of the Mood accent table make it feel like it’s barely there, but no, doubt, it will turn heads because they’ve never seen anything like it before. 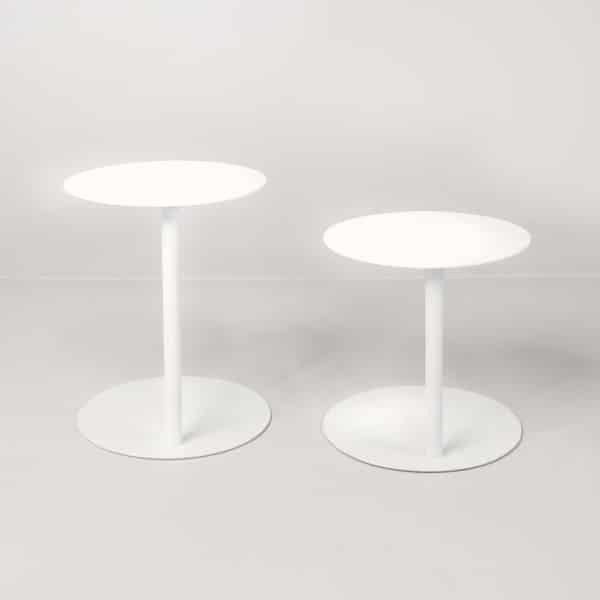 The beautiful white, slightly textured powder-coated aluminum is a perfect shade to complement formal pieces, or fit in with neutral tones.